The fourth month of the year brought reminders that Winter can show up at unexpected times, with snow flurries during the early parts of the month. It also reminded us that we can only juggle so much. With many of us involved in organizing regional events and preparing for Drupalcon, our code contributions waned for a second month, down to a rather low 20 hours. Once again we've been fortunate to be able to put a good amount of effort into porting modules to Drupal 8, primarily for a client the will heavily benefit from some of D8's newest features. Michelle Cox continued work on Metatag and Webform, the former of which will shortly be available as an alpha release. 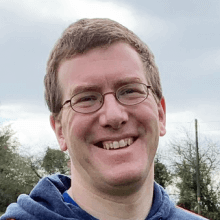 Paul McKibben ported the er_viewmode module and wrote er_view_formatter, both of which will be made available shortly; Paul also joined as a co-maintainer of the XMLSitemap module and committed a number of RTBC patches, pushing the module closer to a stable state for D8. After much help from Michelle I've been able to eek out some tentative entity handling for the D8 port of Metatag and will be making an alpha release soon. There's a lot to do before it reaches 1.0, but it's a step in the right direction. Additionally, work has been progressing on some personal projects. Mark Casias continues his effort to port jPlayer to D8. Mark also released v7.x-1.5 of the very useful Smart Trim module, which includes a security fix, and made improvements to the Addressfield Token module. David Younker released v7.x-1.0 of his Instagram Social Feed module. Derek DeRaps continued work on the Classy Panels Styles module. I continued making progress on Panelizer, getting it closer to a stable release. The month kicked off with the sixth annual Florida DrupalCamp. Once again the weekend was a huge success, the organizers showing again that they put on one of the country's best camps. Mediacurrent was a gold sponsor this year and a few staff members shared their knowledge & experience in presentations. Matt Goodwin and I hosted the first of our “NHDevDays” code sprints in Keene, NH. Although we had a small turnout, it went well and the day ended with several new people successfully climbing the Drupal Ladder. With Drupalcon last week many of us spent much of May finalizing our presentations and attendance plans. At Mediacurrent we had a very busy week, and were glad so many of our readers and followers joined us at our booth, our evening party on Tuesday, and our many sessions. Now that we’re back home I expect our code contributions to pick up speed again.